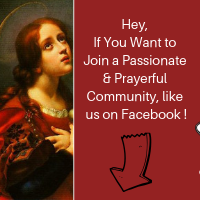 When it comes to Catholic Meal Prayers, most Catholics are really diligent about praying before their meals and most use the “Bless Us O Lord” prayer. But did you know there are some additional prayers you can pray and they differ slightly according to time of day? Do you pray after your meal? 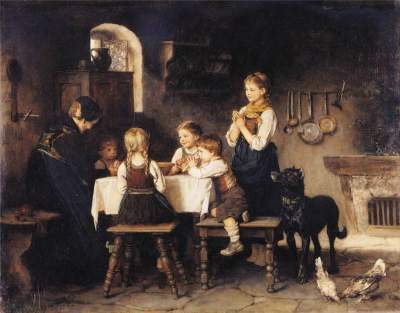 Check out these Catholic meal prayers. Benedíc nos Dómine et haec Túa dóna quae de Túa largitáte súmus sumptúri. Per Chrístum Dóminum nóstrum. Mensae caelestis participes faciat nos, Rex aeternae gloriae. Amen. Ad cenam vitae aeternae perducat nos, Rex aeternae gloriae. Amen. We give thee thanks, almighty God, for all Thy benefits, Who livest and reignest, world without end. Ágimus Tíbi grátias omnípotens Déus, pro univérsis benefíciis Tuis: qui vívis et régnas in saécula saeculórum. Do you normally pray all these prayers? Some of them? Tell us more! These prayers originally came from the Roman Ritual and are often reproduced for convenience in many Latin diurnales and breviaries. Why not just pray the entire meal liturgy with the whole Church? 7. Pater Noster once more, but said entirely silently, including the V. Et ne nos inducas in tentationem. There are variations in how these are said during different feasts and seasons, namely in the invocations, benedictions, versicle/responses, and the final blessing, and the seasons for which there are variations are the 3 Octaves (Christmas, Easter, and Pentecost), Epiphany, and Ascensiontide. The meal liturgies for the Triduum are entirely different from above basically consisting of nothing more than a short antiphon, the Pater Noster said entirely silently, and then the sign of the cross without any blessing or words. Awesome info, Brandon. You’ve taught me a lot! V. Collatiónem servórum suórum benedícat Christus, Rex angelorum. V. May Christ, the King of angels, bless this collation of his servants.